Pokemon Go launched in some countries today. The new freemium augment reality game uses GPS to tell you were wild Pokemon are, so you can go out and ‘find’ them in the real world. That sounds a little bit risky, right? There are already stories on Reddit of people being directed to catch Geodudes in restaurant toilets. For those budding Pokemon Trainers out there using Pokemon Go — whilst the Darwin Police Station may feature as a Pokestop, please be advised that you don&apos;t actually have to step inside in order to gain the pokeballs. It&apos;s also a good idea to look up, away from your phone and both ways before crossing the street. That Sandshrew isn&apos;t going anywhere fast. Stay safe and catch &apos;em all! Imagine all the Aussie kids just wandering into the police station, staring at their phones. 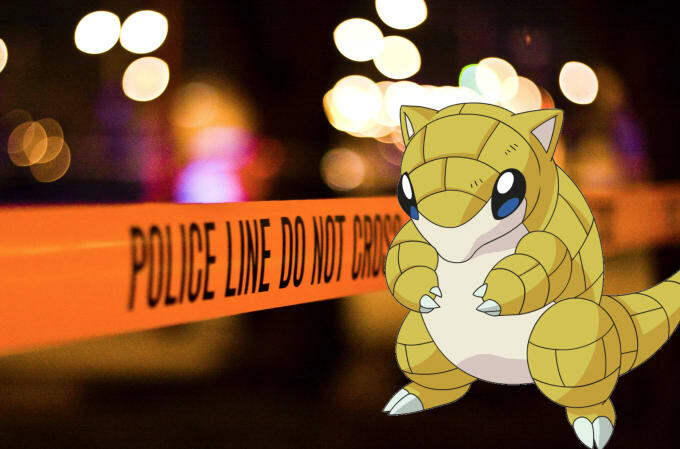 Or maybe the cops just want to keep people away, and catch all them Sandshrews for themselves.